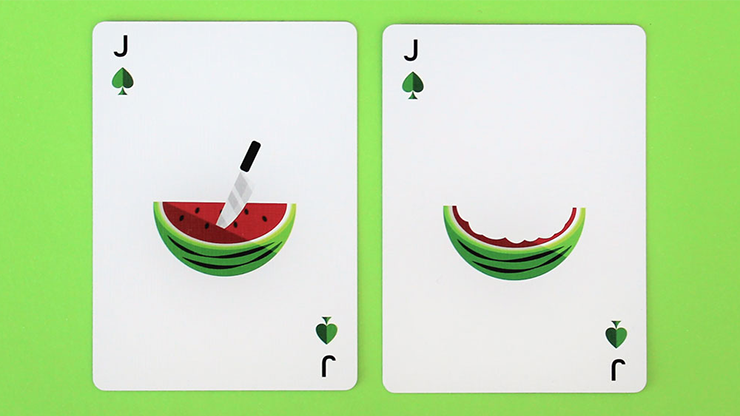 Watermelon Playing Cards is the second entry in the FLAMINKO deliciousness series. 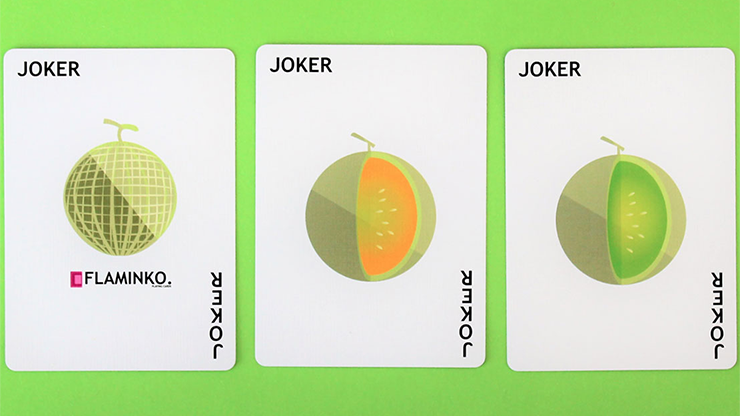 This deck sports a custom-themed, watermelon-inspired design. 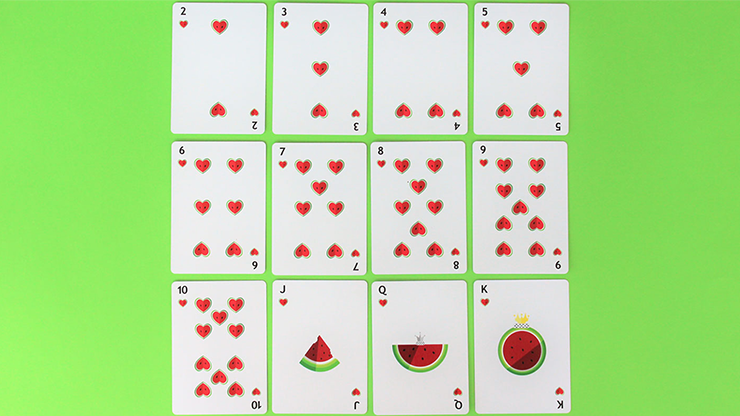 Each feature of the deck, from the pips down to the court cards, has received the watermelon treatment. 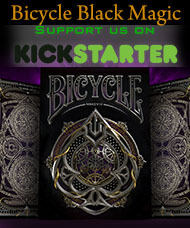 The deck is printed in full color CMYK digital print, allowing all the colors of the artwork to really pop. 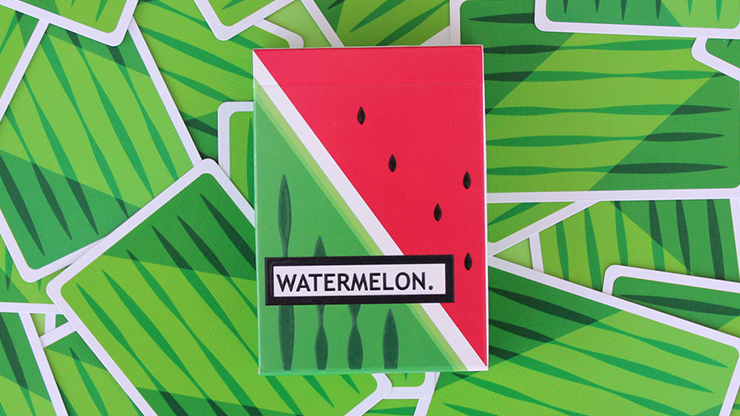 This deck comes beautifully packaged in a complete watermelon-themed tuck box with UV raised emboss details. Printed in Belgium by Cartamundi, these decks are printed with excellent quality stock and finish. The specially developed B9 finish makes the cards feel fluid and 'broken in' right out of the box. A special eaten Jack gaff card is also included in this deck, allowing for interesting and creative magic tricks. 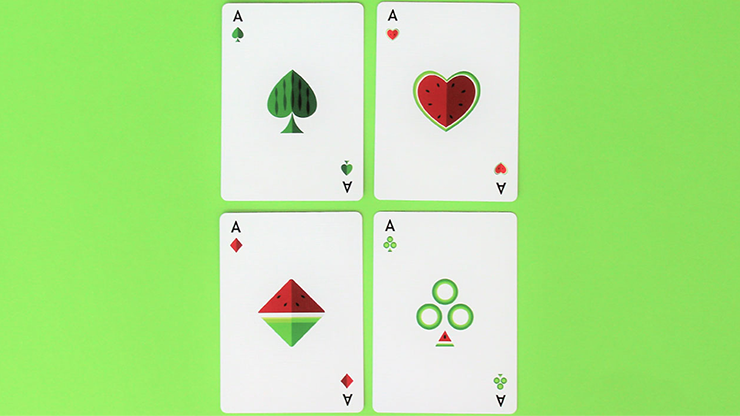 Overall, Watermelon Playing Cards is perfectly functional for cardistry, magic and manipulation purposes; not just a new, exciting addition to the collection shelf. 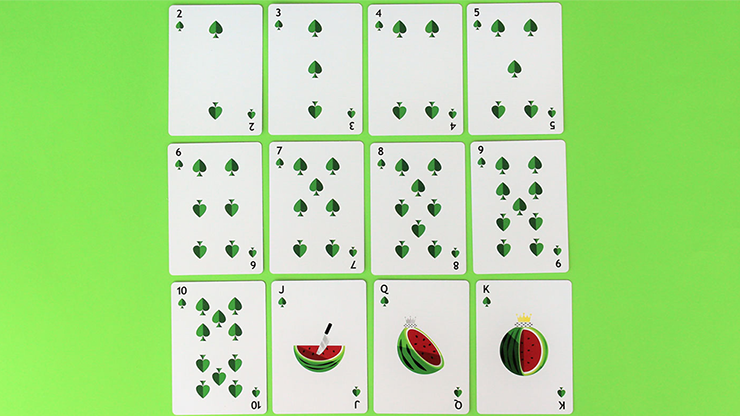 Only 1500 decks of the Watermelons have been printed, making them a special novelty deck for any deck-collecting enthusiast.